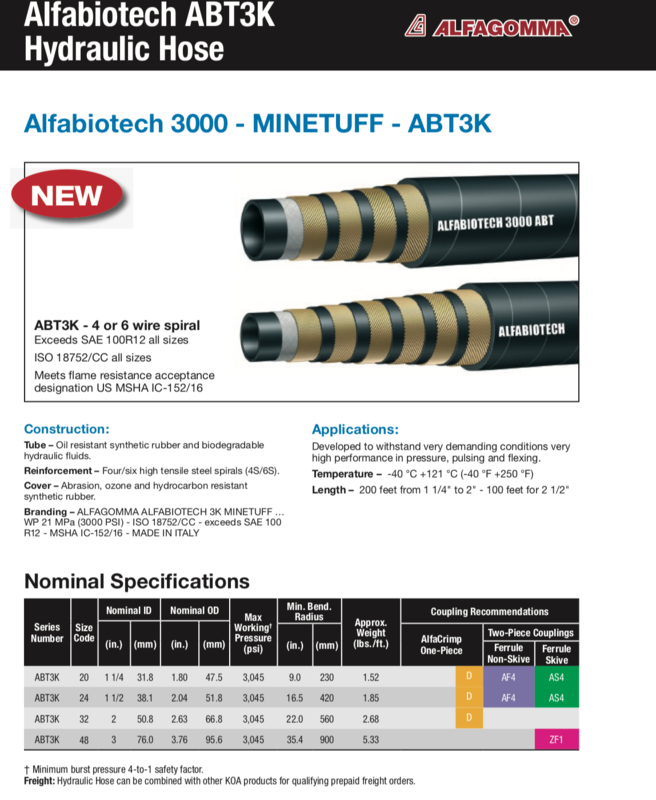 Alfabiotech 3000 – Mine-Tuff hydraulic hose is developed to withstand very demanding conditions with high performance in pressure, pulsing and flexing. 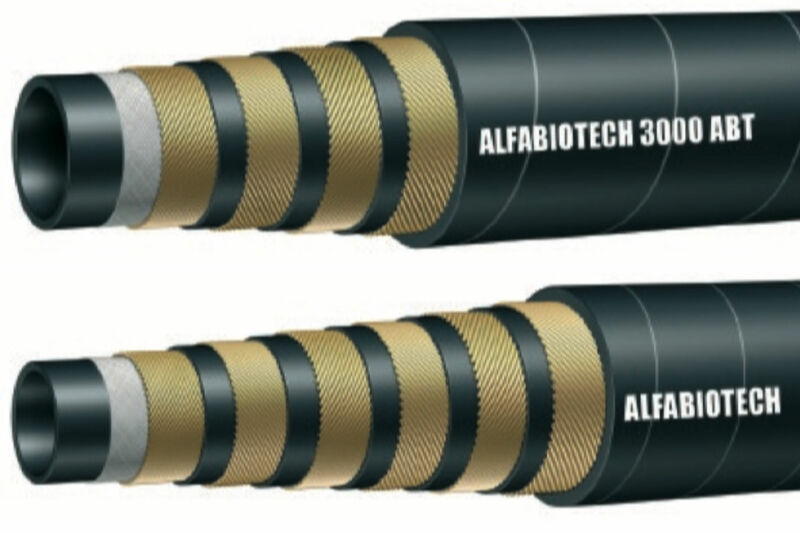 Tube is made of oil resistant synthetic rubber and biodegradable hydraulic fluids, and is reinforced with high tensile steel spirals. 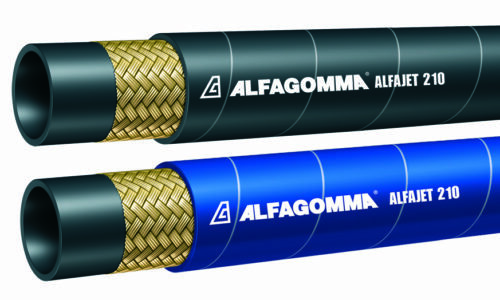 Cover is an abrasion, ozone, and hydrocarbon resistant synthetic rubber.